Do you wish you knew what factors could have kept a departing employee at your company? 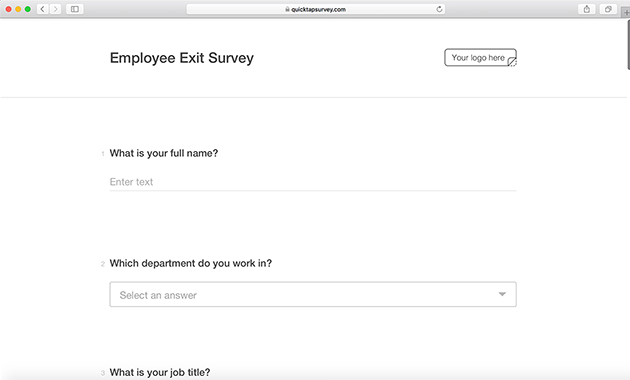 An effective exit interview can give you the information you need to reduce turnover and improve recruiting practices using feedback survey data from your outbound employees. A good exit interview can also help you end your relationship with your departing employee on a positive note. An exit interview will be the last formal interactions a team member will have with your company before they depart. A good exit interview will provide the out-bound employee with the opportunity to review their experiences retrospectively, including the impact they have made to your company. 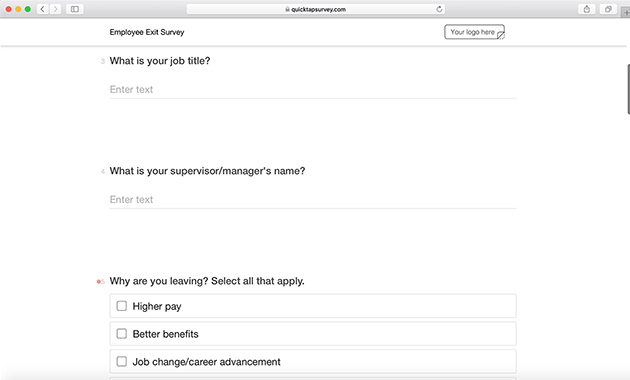 QuickTapSurvey's fast and easy survey application can help you build your own custom employee exit survey in minutes, collect feedback and analyze your results to take meaningful action. What is your supervisor/manager's name? Why are you leaving? Select all that apply. When did you start working at the company? When you first joined the company, what were your reasons for doing so? Select all that apply. When is your last day working at the company? What did you like the least about your job? What did you like the most about your job? 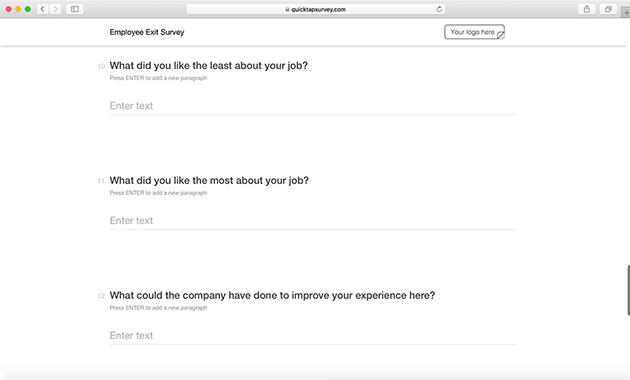 What could the company have done to improve your experience here? Would you recommend this company to a friend? Would you consider rejoining the company in the future? Do you have any additional comments or feedback you would like to share? 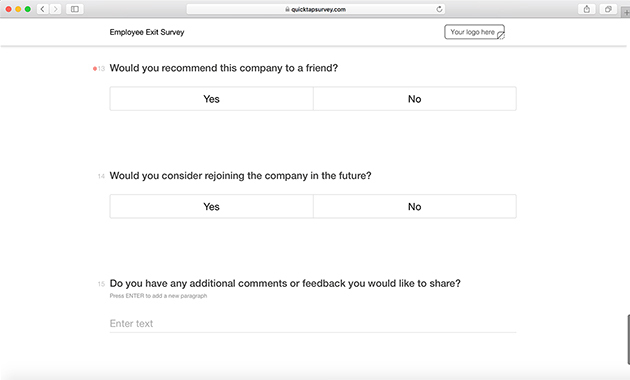 Start your free trial today, and gain access to our templates through the QuickTapSurvey app.